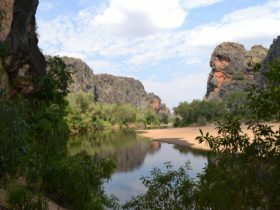 Located just off the Gibb River Road in the King Leopold Ranges, Bell Gorge Wilderness Lodge is close to some of the Kimberley’s most beautiful gorges. 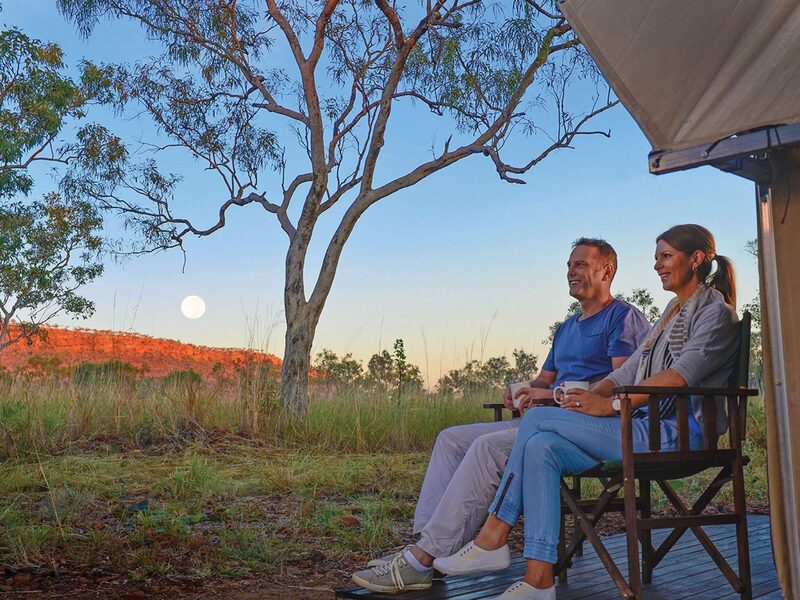 Situated close to the Gibb River Road and the Imintji Aboriginal community, the Bell Gorge Wilderness Lodge is a unique Indigenous-owned site and affords magnificent views of the King Leopold escarpment. Bell Gorge Wilderness Lodge offers 24 tented cabins with twin beds, en suites and private decks. During your stay you’ll enjoy delicious home-style meals. 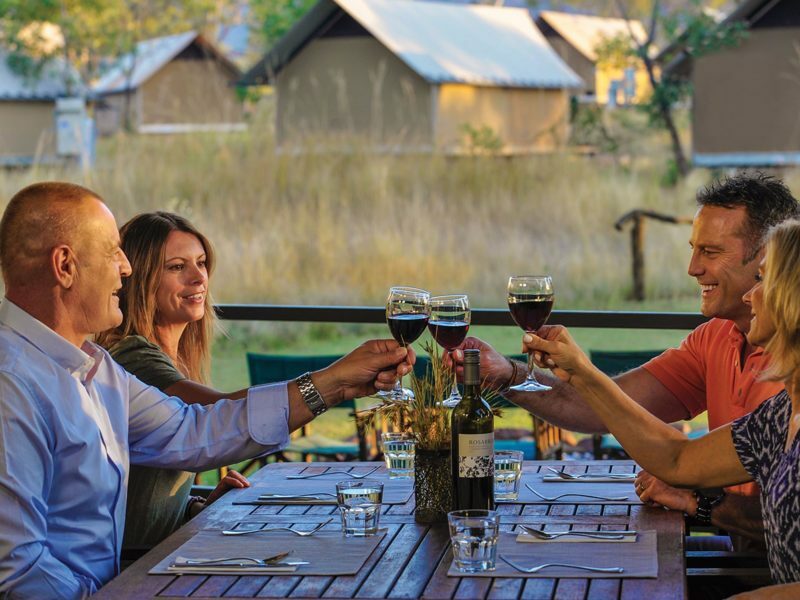 The licensed lodge stocks a range of wine and beer available for purchase to complement the tantalising food. Enjoy freshly prepared three-course dinners served with tea or coffee. Start each day with home-style hot breakfasts, while lunches are available on request (additional cost). 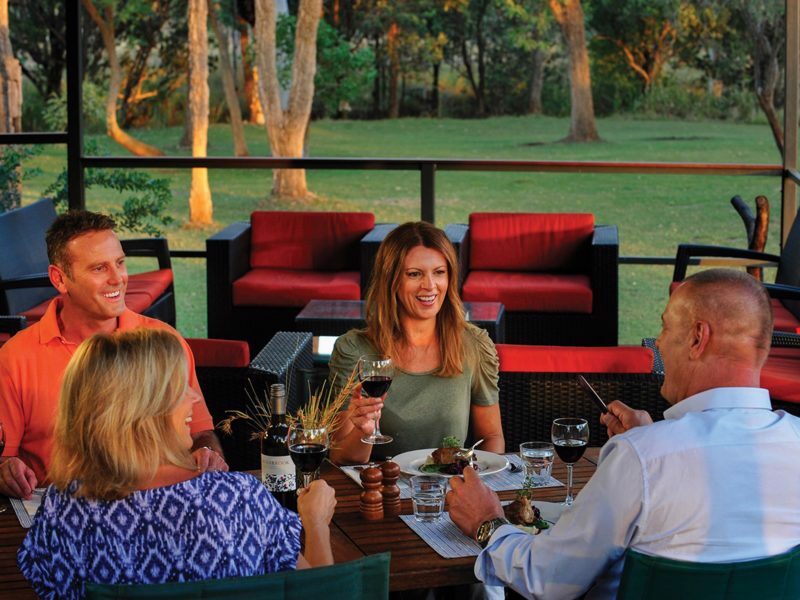 With easy access to Bell, Galvans and Barnett River gorges, and close to Windjana Gorge and Tunnel Creek, Bell Gorge Wilderness Lodge is a perfect base for exploring the Western Kimberley. Imintji Store is located near the lodge and stocks basic supplies, including fuel. Bell Gorge Wilderness Lodge is available exclusively through APT. Permanent private and spacious tented cabins with comfortable off-the-ground twin beds, fresh linen, warm doonas, side tables and lighting. Fresh home-style meals including delicious dinners with a complimentary glass of wine. Hot showers and toilet facilities for your comfort and convenience. Low voltage night lighting – so that you can always find your way around in safety. 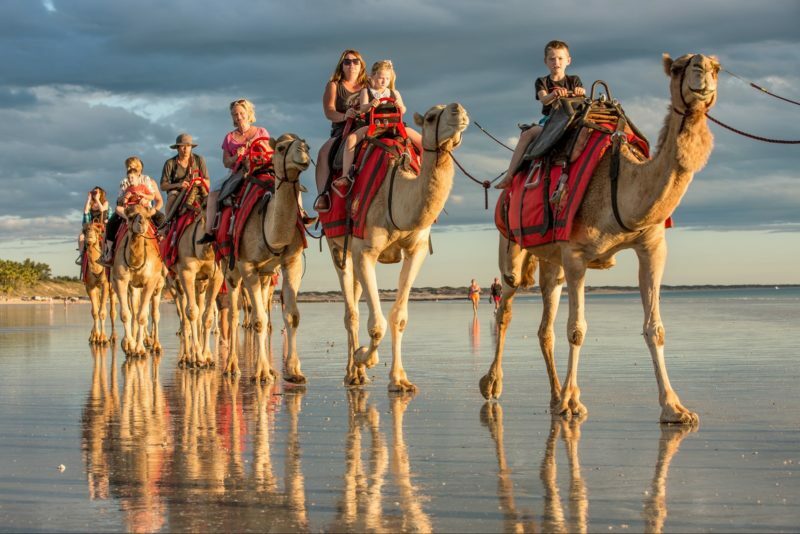 Camps are operated with an emphasis on eco-friendly practices.